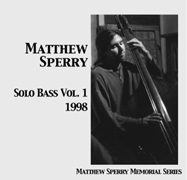 Dedicated to the memory of bassist / father / husband Matthew Sperry, who touched so many with his love, honesty, humor, and music. In 1998, Elliott Aldrich made an amazing QuickTime VR movie inside the Columbarium. Once the 1MB movie loads, click and drag your mouse side to side or up and down for 3D view of the inside of the chapel (the movie is actually shot in a chamber two rooms down from Matthew’s). Doesn’t quite replace being there, but if you’re on the other coast, this is about as close as you can get to experiencing the peace and beauty of these chambers. The architecture is that of Julia Morgan, who designed many gorgeous buildings in the Bay Area around the turn of the last century. 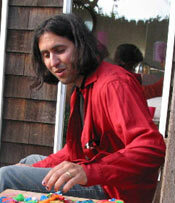 A WordPress site, managed by Scot Hacker (contact).